Microphoto specializes in photochemical etching of brass components. Brass is a copper-zinc alloy that provides excellent strength, hardness, ductility, conductivity and corrosion resistance. Known for its low-friction and non-magnetic alloy, brass is spark resistant with features that allow for additional defense against corrosion. Hobbyist and start-up business owners often turn to brass for their projects because it softens to allow for short production times with minimal mechanical force. Here at Microphoto, we use a process called photochemical machining for custom etched brass components. 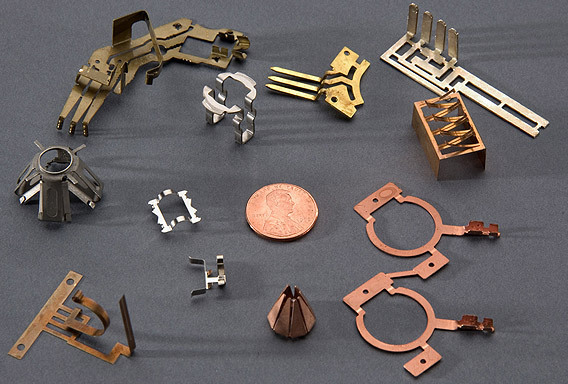 Our photochemical machining process is capable of maintaining the same characteristics of the material such as structure, hardness, magnetic properties, and ductility. Contact us today if you are interested in learning about our process or request a custom quote!